An Evening with ‘The History Guy’ features incredible research from the beloved BBC broadcaster aided by digital screen presentations depicting Cardiff’s heritage. This show is unmissable for the whole family including academics and students young and old. Plus, you’ll get the opportunity to partake in the audience Q&A, so have a think what you want to ask the man himself! What was the motivation behind doing your first live tour? When you’re making television and podcasts, it’s very lonely. You sit by yourself and think “Is anyone watching?” That’s why TV presenters take to Facebook Live. That gives you the number of viewers at the bottom of the screen. It might be only five people, but at least you know someone is there! Doing live events at book festivals and book launches is a huge treat because you get to meet people. It’s an enormous boost to the confidence to know there are people out there following what you do. The tour is the first time I’ve done this in an organised way where we’ve been able to build a proper show. It’s a great chance to meet people and say thank you to those on whom my career depends. I’m really looking forward to it. A large chunk of the show will be about local history. It will have direct relevance to the place we’re in. That’s not difficult to write. Just looking at the list of venues – Alnwick Castle, where Scottish king William the Lion was captured by the English; and Belfast where I’ll be visiting HMS Caroline for the first time, the last survivor of the Battle of Jutland. Lancaster has one of my favourite castles, and Liverpool is obviously stuffed with history – the Western Approaches Museum is a hidden gem. In every location I try and visit some local history during the day and then share my experiences in the evening. I get lots of messages on my Facebook page. There’s so much history out there it’s ridiculous and I find the stories that people send me fascinating. Also, it’s easier to become knowledgeable in an aspect of history. It’s not like physics where you need a $300 billion particle accelerator in the house to become an expert! I’m really looking forward to interaction with the audiences at my shows. Do people want to recount their personal histories too? They often want to tell me all about their family history or the part their family played in history, like a soldier in the First World War. A huge number of people tell me stories about their ancestors. They will say something like “My father was the first black RAF pilot.” Listening to them, you realise how many firsts there are. Yes! History is not all about dead kings, old libraries and dust. It’s everything. It’s your parents’ eyes meeting across a crowded room, and why we are who we are and why we are speaking English and why it’s acceptable for women and men to mingle together. I hope people walk out of the theatre saying that they had a really good time. I also hope they leave having thought deeply about the past of their town, their country and their world. Yes. In the 1990s history was very unfashionable. People thought that history was “finished”. But 9/11 changed all that. It was a huge wake-up call. It reminded everyone that many people around the world felt that history was not finished. They felt enormous resentment about the fact that some people thought that the hands of history had stopped. Can you explain your passion for history? I love history, it’s everywhere. It’s everything that ever happened to anyone who has ever lived on this planet. It also means that I’m never bored on a train journey. As you travel, you see names that echo from the past. Every place has a history. The first question I’m always asked at events is “What’s the best place you’ve ever been to?” They expect me to say something like Angkor Wat. But perhaps weirdly, I just love this country – there’s so much character and history here. Wherever you go in Britain, there are so many stories. For example, you can visit a place just outside Manchester and find the perfect Industrial Revolution era textile mill where global industrialisation began. So history is constantly beckoning you towards it? Absolutely. I drove up the M3 recently to interview a Second World War veteran. On the way I visited Odiham Castle in Hampshire. It was built by King John, it was besieged twice and various people were murdered there down the centuries. The M3 is a road I use all the time, and I had never heard of Odiham Castle before. There is so much history on this island just waiting to be discovered. It’s such a treat. We may complain, but we do have a great respect for history. I’m half Canadian, and in Canada they would simply bulldoze a historic site and put a new building in its place. We are so lucky that we have preserved so much in Britain. What do you think are the benefits of studying history? It’s very good for your mental health to go to these places. When I went to Odiham Castle it was a beautiful sunlit morning – not a bad way to spend 20 minutes. Being a historian is a lovely job, but we can all do it at any time. Definitely, it explains so much about today. Why can’t you book a boozy holiday in Somalia? That is down to history. The country’s instability is the result of colonial interference, food scarcity and the interference of America. In the same way, why can’t you go to a pub in Armagh and sing God Save the Queen without being glassed, while 20 miles away it would be fine? That’s all about history. If you’re curious about the world today, history can help you understand it. It will also make you realise that we’re so lucky to be alive today. It gives things a real sense of perspective. Yes. History is a fantastic thing to teach kids. It teaches young people about the things they say and hear, and it teaches them to be profoundly distrustful of politicians – and also not to invade Russia! Literacy about history is vital. People are mad to believe politicians without checking the evidence first. Young people need to learn about the reliability of sources and sifting through people’s motivations and understanding why they are saying something you. There is nothing more important than questioning those in authority. I try and help kids to think about history in the best possible way. I give them a sense of why we bother studying the past. It affects the present, what we wear or our economic status or the fact that there is violence on some streets. All those things are products of history. But it’s stuff that a teacher might not get the time to cover in a planned lesson. Tell us about your channel, History Hit TV. Life is very exciting at the moment. Our podcasts have a million listeners. It’s no longer about going to a publisher and waiting for a commission. It’s about going out there and making instant connections with people. I love doing the podcast because of its simplicity and speed. The podcast is also so important for breaking news. When the story recently broke about the Bayeux Tapestry coming to the UK, I immediately got Marc Morris – legend of Norman studies – on the phone and recorded him for my podcast that evening. The podcast gives you such freedom and immediacy. What you do in your spare time? We go on holiday and visit historic sites! The kids are more manageable when you’re doing stuff with them. Having them around the house in winter is brutal! Looking around Winchester or Basingstoke is great fun. Walking around the Roman walls of Chester is a really good day out. You’re a better parent if you take your children out to these historic places. It will make them better citizens. We’re also on the water all the time. I often row with the kids near our house. Yes, my dad (Peter Snow) is fantastic on the heritage side. He has relentless energy and was always taking us to different places as children. Also, my Welsh grandma, Nain, was a huge storyteller. She taught me to give history a human element and to bring it alive. I hope my history is very real and vivid because of her. So were you were introduced to the joys of History at a very young age? Yes. Every weekend as a child, I was taken to a historical site – a castle, palace or museum. I got History Stockholm Syndrome as a boy, and now I’m inflicting it on my own children! I don’t bother asking them how they feel about it. They seem to tolerate it – they don’t know any better! Two weeks ago, I took my two-year-old daughter to HMS Victory. It was just another day in the office for her! You have a new book called On This Day in History. Can you tell us about that? 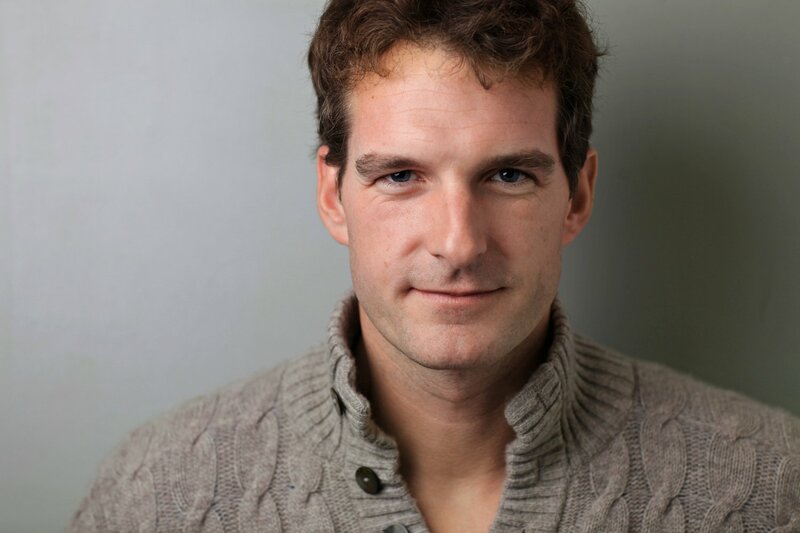 Dan is a familiar face from The One Show and hosts the hugely popular podcast Dan Snow’s History Hit. Born and raised in London, he remembers spending every weekend of his childhood being taken to castles, battlefields, country houses and churches before studying History at Cambridge University. After finishing university, Dan immediately started presenting military history programmes and his series, Battlefield Britain won a BAFTA. Since then Dan has made many historical documentaries throughout the world and written several bestselling books. As the son of BBC broadcaster Peter Snow, nephew of Channel 4 newsreader Jon Snow and great-great-grandson of British Prime Minister David Lloyd George, Dan’s family have left a lasting legacy on British history themselves! Tickets are £27 (plus an optional £1 postage fee).